(New York, NY) – Despite dramatic declines in marijuana possession arrests from their peak years for New York City and “Upstate Cities,” the numbers and rates of arrests remained higher in 2017 than in 1990, according to a new report from the Data Collaborative for Justice at John Jay College of Criminal Justice (DCJ). 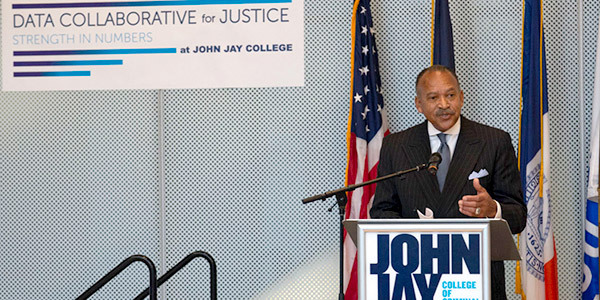 The report was released February 8, 2019 at a special presentation featuring Alphonso David, Counsel to Governor Andrew Cuomo, Benjamin Tucker, First Deputy Commissioner of the New York City Police Department, and Jeremy Travis, Executive Vice President of Criminal Justice at Arnold Ventures. The report, Marijuana Enforcement in New York, 1990 to 2017, found that statewide, Blacks and Hispanics consistently had the highest rates of enforcement compared to Whites and these racial differences in arrest rates widened between 2002 (the first year for which race data is available statewide) and 2017. Read the research brief / Read the full report. • Statewide, 18-20 year olds consistently had the highest rates of enforcement for marijuana possession statewide, mostly driven by New York City results. There was more variability by age in Upstate Cities and the Rest of the State. • In 2017, the racial differences in arrest rates were wider for the Upstate Cities and the Rest of the State compared to New York City. 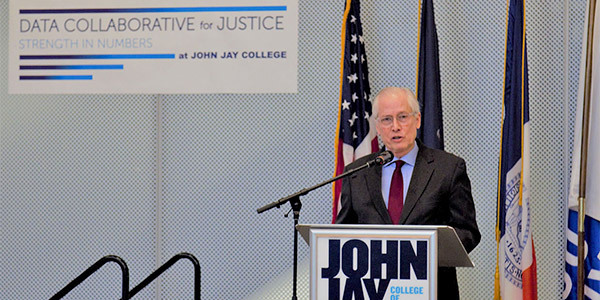 The Data Collaborative for Justice (DCJ) at John Jay College of Criminal Justice houses a group of research initiatives that raise important questions and share critical research about the criminal justice system and its role in creating safe, just and equitable communities. DCJ conducts data analysis and research on enforcement in the community, the adjudication of cases in the courts, and the use of confinement in jails and prisons. DCJ’s work has informed policy reforms, facilitated partnerships between researchers and government agencies across the country, spurred new scholarly research on lower-level enforcement, and been cited extensively in the press. To date DCJ has published reports on misdemeanor arrests, criminal summonses, pedestrian stops, mobility of arrests for misdemeanors, trends in jail admissions and custody, as well as evaluations of reform initiatives. For more information, please go to: datacollaborativeforjustice.org.